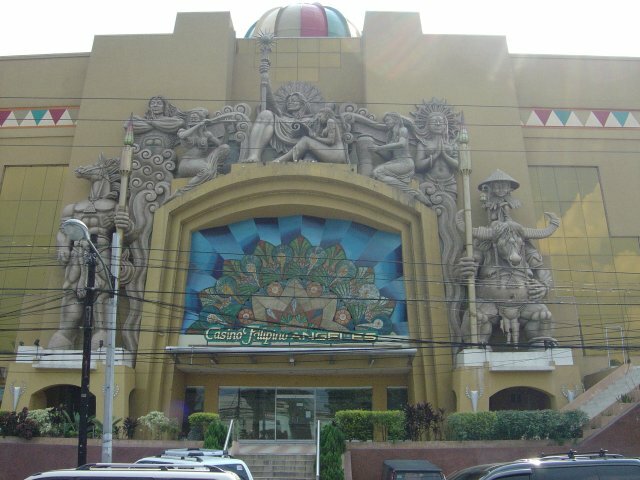 Picture above shows Mac Arthur Hiway at Casino Filipino toward center of Angeles. 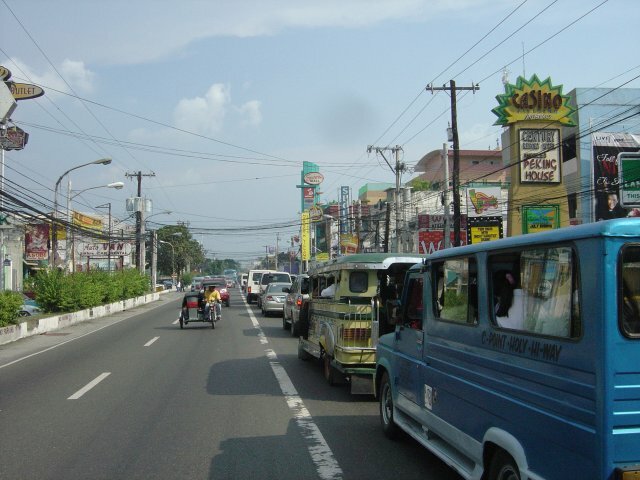 A high traffic Hiway with lots of buses, Jeepneys, Trikes and other cars contributing to traffic jam ... WE at Hotel Swiss Chalet are just outside the high traffic zone with free access toward all directions except toward the center of Angeles - always some high traffic in day time. A huge shopping mall offering branded artikels in fashion or electronics as well as a supermarket with goods from east and west is in walking distance from the Swiss Chalet. It also contains ATM machine, games or fastfood outlets and a cinema with several halls. Of course there are thousands of small shops, and even more street vendors for all kinds of goods and gadgets. For the more demanding shopping, technical goods, computers or computer accessories, household appliances and more ... there are a few larger malls. 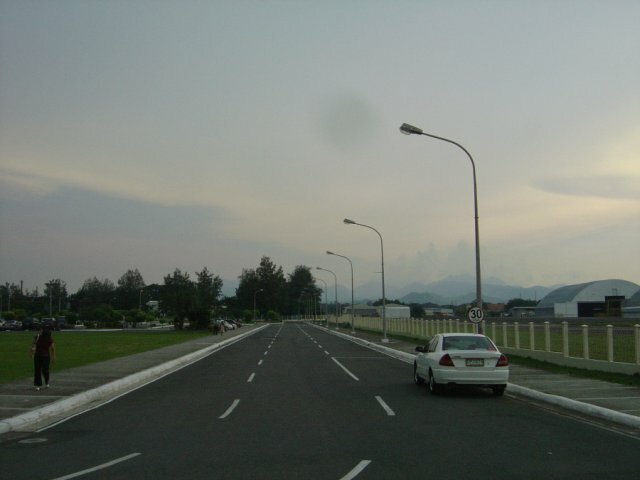 In the center of Angeles we have Nepo Mall and Nepo Mart - but much closer and well assorted with a high quality low price selection of excellent goods for daily special needs we have approximately 1 km from Swiss Chalet toward the center of Angeles - again on Mac Arthur Hiway - a few hundred meters after Casino Filipino on the right side the Saver's Mall. What to find at Saver's Mall ? 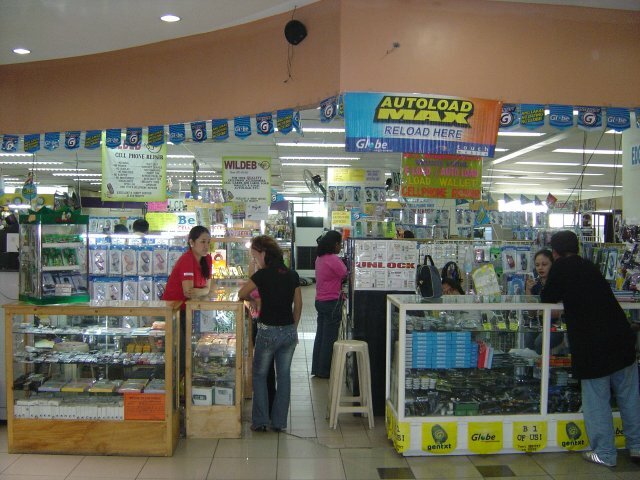 A large variety of quality goods - such as a well assorted computer store with a large variety of computer accessories or large cellphone shop with all cellphone casings and cellphone accessories ... and of course household goods and household appliances. One of the best banks to get cash at ATM machines - usually either PHP 10'000 or PHP 20'000 per withdrawal depending on branch and Hardware / Software of machine is the Bank of the Philippine Islands - short BPI ... all over the Philippine that is one of the best choices. 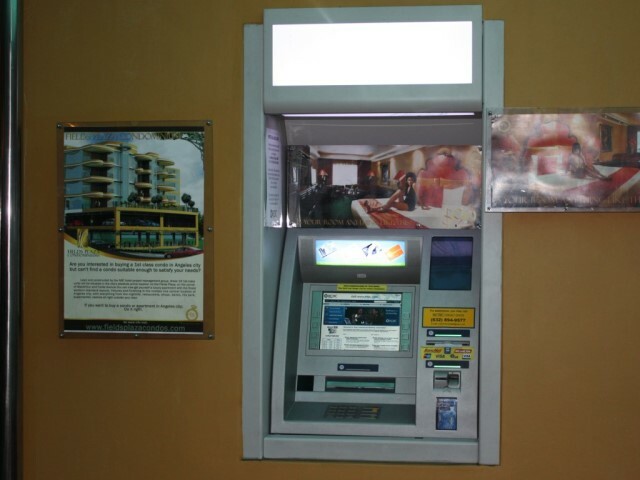 all other ATM's usually have a withdrawal limit of PHP 4000.- per withdrawal. 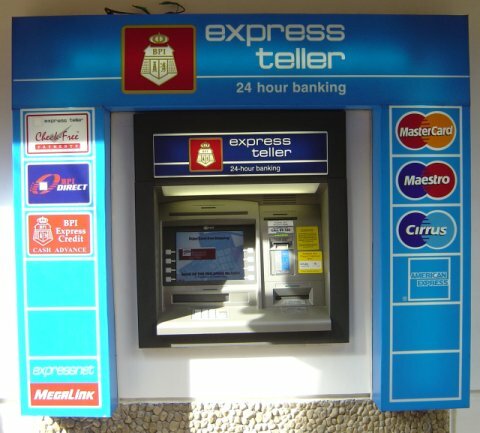 What cards are accepted to withdraw from ATM machines at ATM machines of the BPI ? If you have VISA only - then you have to find another bank / ATM and most likely your withdrawal limit per withdrawal will be PHP 4000.- unless you have a passport and request your money at a bank counter of a VISA card processing bank. An ATM machine for MasterCard and VISA card is directly outside Voodo Bar on Fields Avenue about 100 meter from Swiss Chalet - of course this ATM has a withdrawal limmit of PHP 4000.- only. 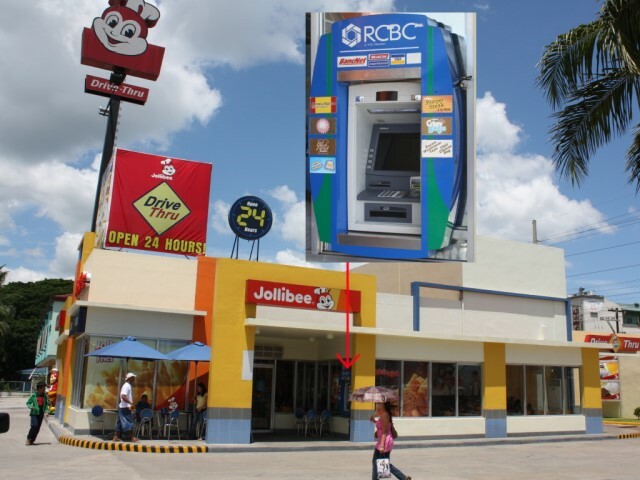 Another ATM can be found at the wall of Jollibee Restaurant between Fields Ave around Camelot Bar and Clark Maingate. If you're further up Fields Avenue and need some money, drop by at the ABC Hotel. 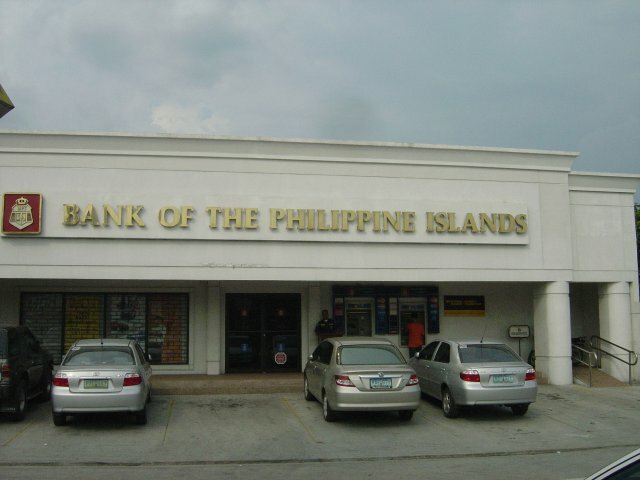 Where is the nearest Bank of the Philippine Islands ? Related to the location of our Hotel Swiss Chalet - we have two options - one BPI office with 2 ATM machines is located about 200 meter before Dau Bus Terminal and the nearest one is located about 1 km on Mac Arthur Hiway just a few hundred meters after Saver's Mall on the left side of Mac Arthur Hiway. 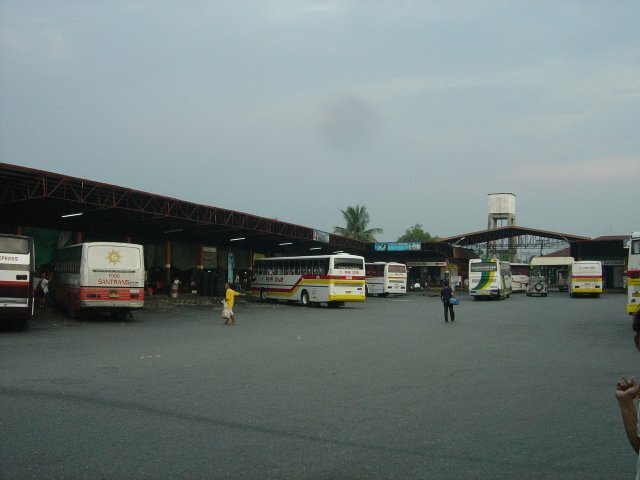 Dau Bus Terminal is the largest Bus Terminal in the Philippines i know so far. 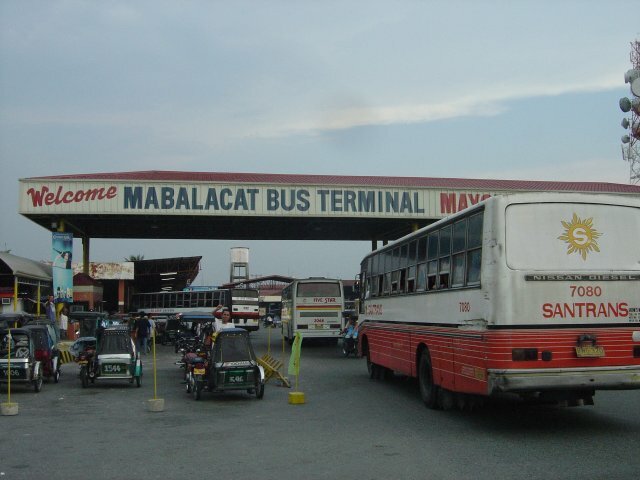 Dau Bus Terminal is a turning point for busses toward all major destinations north bound - such as Baguio City and northern Luzon provinces or cities such as La Union Province - San Fernando La Union, Abbra, Vigan, Tarlac, Dagupan and many other destinations. Of course all the buses coming from north make a stop over here south bound toward various Manila destinations such as Cubao, Avenida, ... ask the bus driver which final destination is best for your Manila trip or tell him to drop you at the best place to catch a taxi or other bus to continue your onward trip if needed. Busses come and go every few minutes to all major north bound and south bound destinations. Since 1996 the former US airforce base started its first civil international flights. 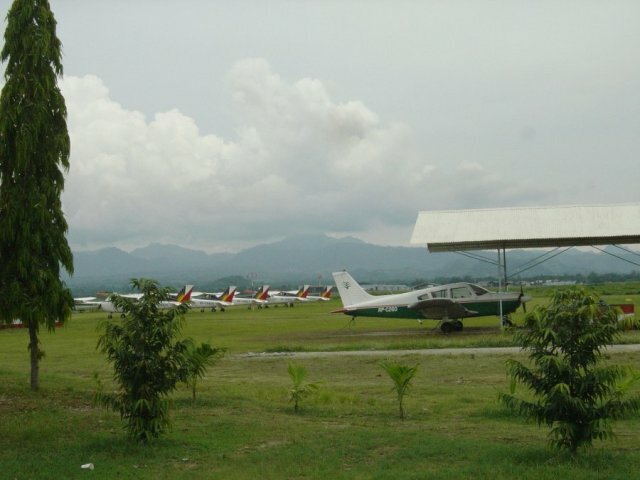 In earlier years Clark Airfield - Clark Airport was one of the most important US military airports in Asia with the 2nd longest runway in Asia. 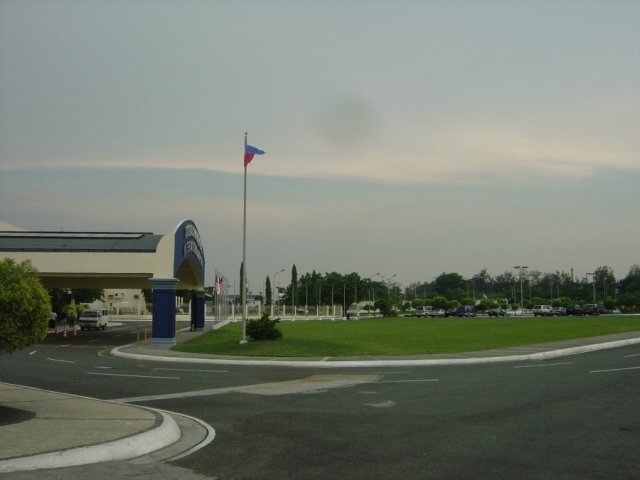 As a US Space Shuttle alternate landing airport, Clark airport certainly a high-end high-tech airport of first choice - yet almost unused for flights until these months. 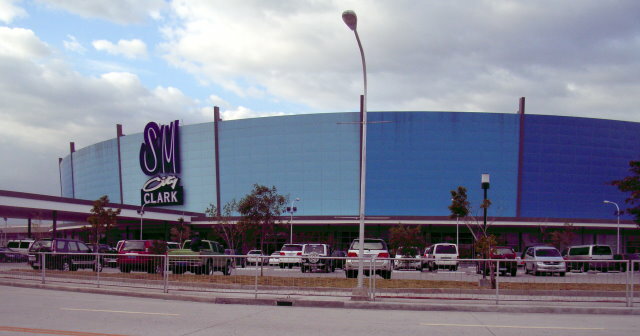 In recent months however more and more International air carriers start to use Clark International airport as a direct destination from various countries such as Singapore, Hong Kong, Korea, Malaysia, USA and soon to come Thailand as well. 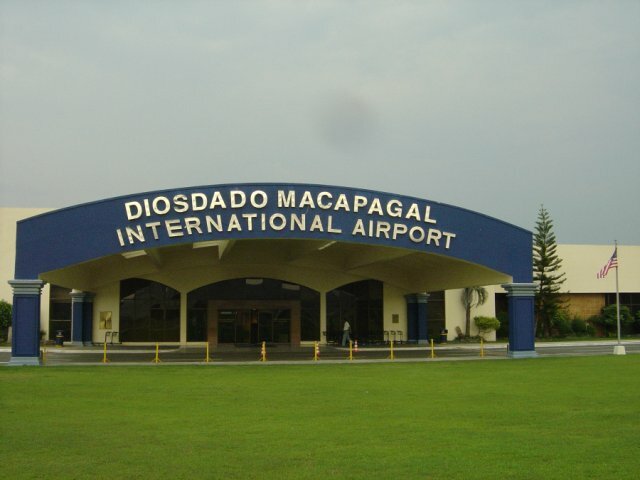 Worldwide known as Clark airport or Clark airfield - the official name however is: "Diosdado Macapagal International Airport"
Low traffic on the road - by car from Swiss Chalet to Clark Airport the last 5 km are mostly along green fields. Low airport traffic as well - all quiet - friendly and fast for check-in and check-out of airport. 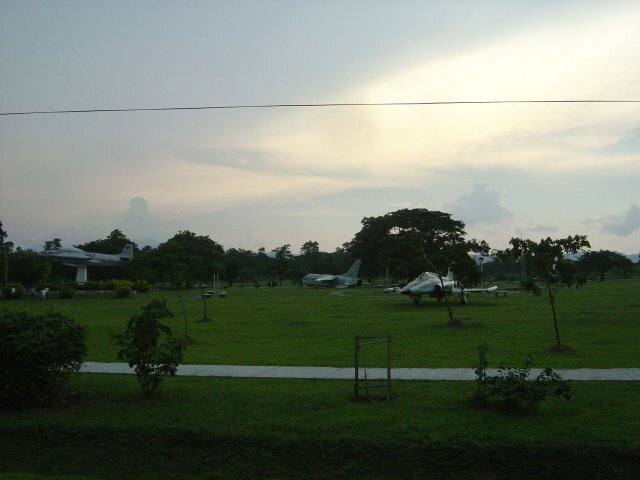 About 1 km before reaching the Clark International Airport terminal-building, you pass by the Air Force open air museum displaying a few historic aircrafts. 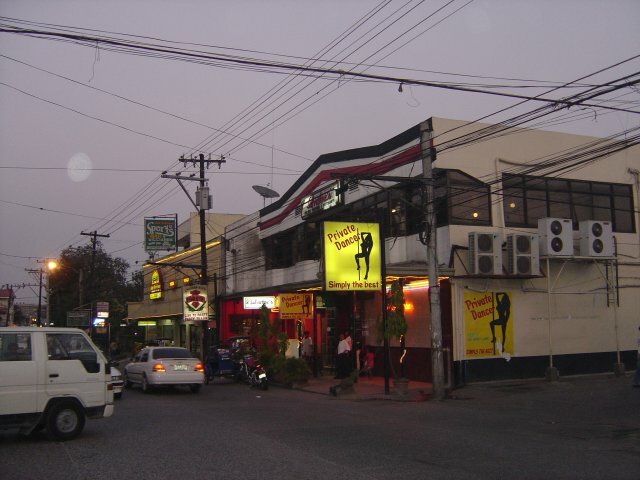 Dancing bar with table dancing, restaurants, bars and pubs, shopping by night from street vendors, small food stalls and BBQ places along the road and much more. All any other world city has to offer - but here a little more smiling and more colorful and much cheaper as well than most other places in the world. Fields Avenue is just a 2 minute footwalk away from Hotel Swiss Chalet. Most places are open until 3 AM or 4 AM - a few near by places are open 24/7 i.e. all night to eat, have a drink or meet and socialize. 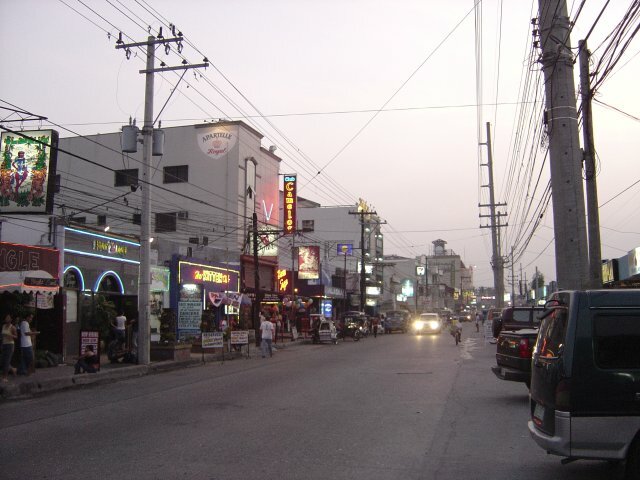 Philippinas and Philippinos love music, singing in videoke bars, dancing and having fun. If you are short on time or love to save travel time to have more time left to enjoy life ... just 1 km from our Hotel Swiss Chalet you find the Omni Airport - used for Fly and Relax air taxi and many other small private air crafts. As you just a few hundred meters from our Hotel green nature starts - enjoy and have more fun.